The online shopping portion of the Ithaca Alternative Gift Fair is still going! You can still make a donation to the ISC as a gift in someone else's name up through December 31, 2013. A variety of gift options are available that will provide support for our upcoming productions and new and existing educational outreach programs. Just visit www.ithacaaltgiftfair.org and make your purchase. $5: will help make a costume for a child to wear in our "Shakespeare Lane" program at the Family Reading Partnership's annual Bookfest for Kids. $10: will put a board in the stage for our outdoor summer Shakespeare shows at Cornell Plantations. 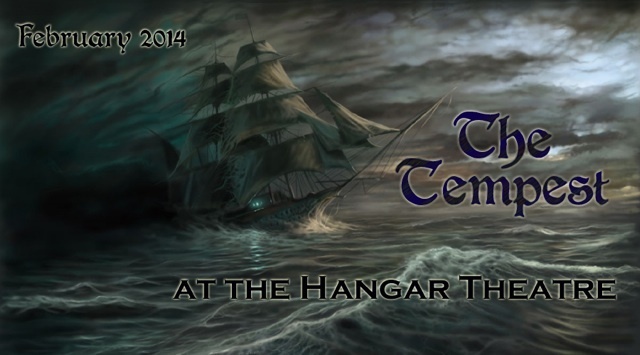 $15: will help create the special effects to bring the storm and magic of The Tempest to life in February. $25: will help a child learn to love Shakespeare at our new Shakespeare for Kids Camp coming this July in conjunction with our summer performances. Visit the Ithaca Alternative Gift Fair website to choose your gift! 2014 is the 450th anniversary of Shakespeare's birth. 2016 is the 400th anniversary of Shakespeare's death. Shakespeare's late masterpiece, a perfect blend of comedy, drama, romance, and magic. The Tempest also contains a harsh indictment of European colonialism and a speech that might represent Shakespeare's final farewell to his art. There are only six performances, so make your plans now to see this gripping tale of revenge and reconciliation, shipwreck and salvation, storms and spirits, brought to life with all the technical magic of the Hangar Theatre! The most famous character ever created, in the most famous play of all time...coupled with one of Shakespeare's most delightful romantic comedies. The epic multi-play cycle that might be Shakespeare's greatest achievement — a spectacular series of plays bursting with life, humor, excitement, and intrigue, chronicling the struggles between the houses of York and Lancaster for control of the English throne!